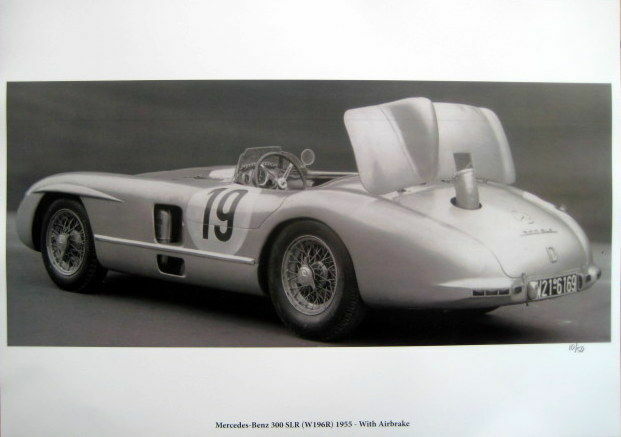 The Mercedes-Benz 300 SLR (W196S) was an iconic 2-seat sports racer. 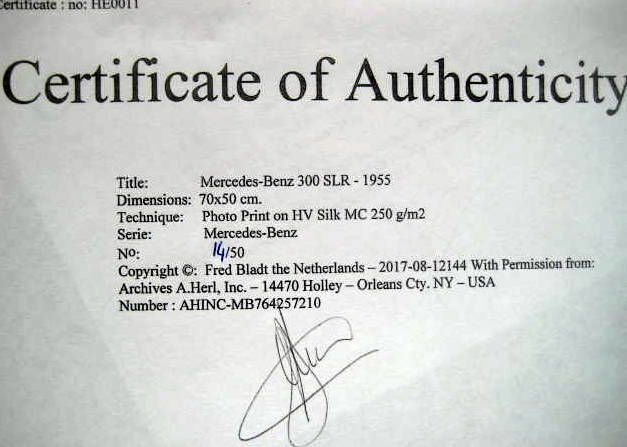 Designated "SL-R" (for Sport Leicht-Rennen, eng: Sport Light-Racing, later condensed to "SLR"), the 3-liter thoroughbred was derived from the company's Mercedes-Benz W196 Formula One racer. It shared most of its drivetrain and chassis, with the 196's fuel-injected 2,496.87 cc straight 8 bored and stroked to 2,981.70 cc and boosted to 310 bhp (230 kW). The W196s monoposto driving position was modified to standard two-abreast seating, headlights were added, and a few other changes made to adapt a strictly track competitor to a 24-hour road/track sports racer.